Meet With Anthony Aiello of Leading Management Company, ONE ENTERTAINMENT! One Entertainment's clients appear on hit television shows, major feature films, and top theatrical productions. They are ALWAYS LOOKING FOR NEW TALENT! 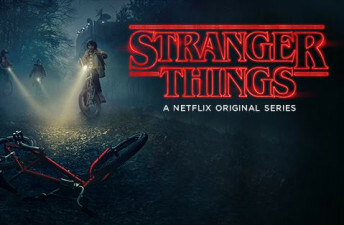 Clients can be seen in Netflix's STRANGER THINGS and HOUSE OF CARDS, Cinemax's OUTCAST, THE KILLING, USA's FALLING WATER, and many more! Anthony Aiello is a manager at One Entertainment, a prestigious management company in New York City that represents actors in film, television, and theater. The company works with a wide range of actors on hit TV shows such as STRANGER THINGS, HOUSE OF CARDS, THE KILLING, Cinemax's OUTCAST, and USA's FALLING WATER. Anthony has many years of experience in the entertainment industry beginning as a child actor appearing in the feature film IT TAKES TWO with the Olsen Twins and CBS’ AS THE WORLD TURNS. After graduating from NYU’s Tisch School of the Arts, Anthony worked his way through the Agent Trainee Program at The Gersh Agency, where he spent two-and-a-half years. Anthony is looking forward to managing and cultivating exciting new talent.